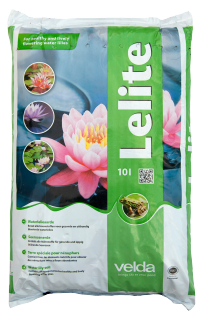 Lelite is a nutrient soil that has been composed especially for water lilies. It contains blue loam and dried fenlland peat. Owing to the special and light structure of the mix Lelite allows sufficient oxygen to prevent the roots from choking. Also as a result of the minerals and trace elements added, a duly throughrooted ball of soil will form and healthy growth of the lily involved will be the result. Available in bags of 10 and 20 litres. The development of a water lily depends for a great part on the substrate in which the radical tuber has been planted. A strongly developed radical tuber will form healthy leaves and produces many flowers. 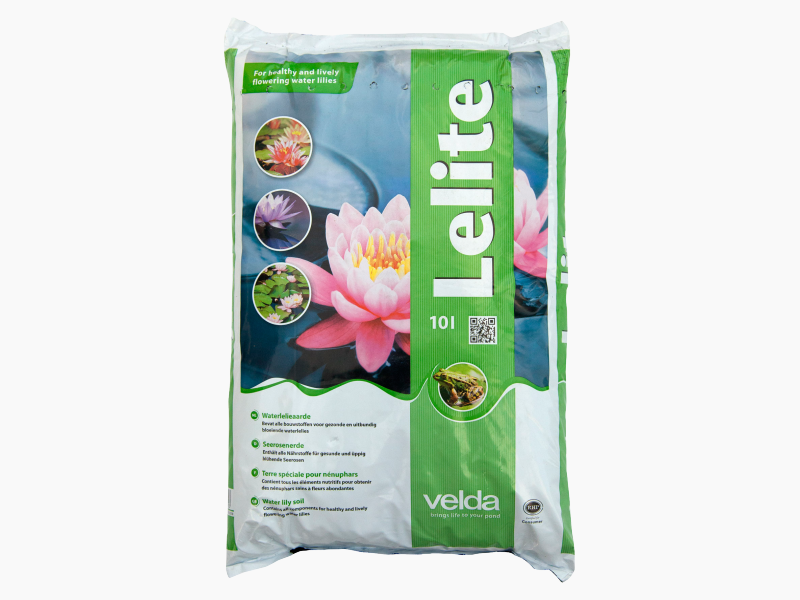 Lelite has been specially composed by Velda to allow your water lilies to flower in the best possible way. Lelite contains the most important building materials for optimum growth, formation of leaves and flowers. The light composition of the product provides proper water circulation along the radical tuber, whereas the blue loam added will stimulate strong root growth. Advice for use: make use of a spacious plant basket (30 x 30 x 25 cm). 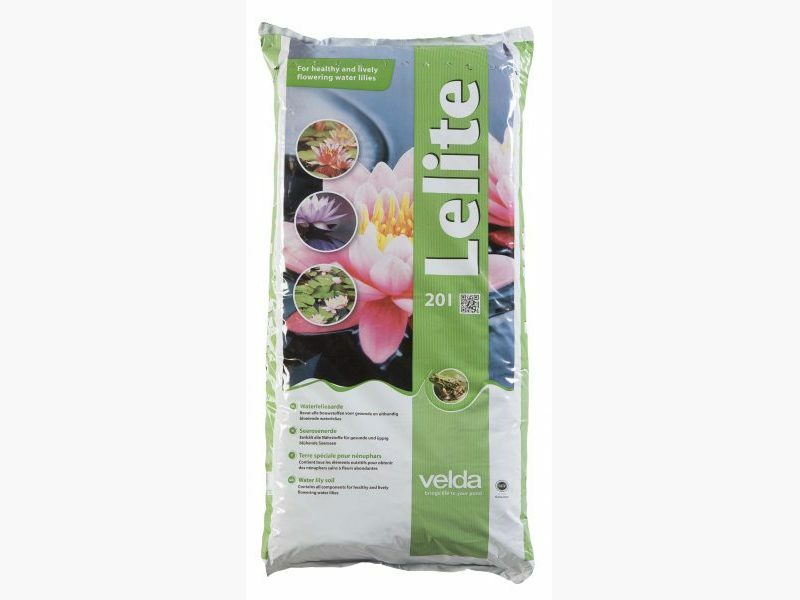 In case you use plastic plant baskets use Velda Cloth Liner to prevent the soil from being washed out and cover the ball of soil with rinsed gravel or substrate.